92% of Malaysians do not eat sufficient fruit and vegetables, which is the source of a lot of ailments. There are some vitamins and nutrients found in certain fruits which can help with postmenopausal conditions, pregnancy, infertility, diabetes, and regular toilet habits. In a lot of cases, it’s better to eat whole fruits than to drink fruit juices as fibre content would’ve been stripped in fruit juices. Good nutrition is an important factor in achieving and maintaining good health. Look at countries where their people live long and well such as Japan and the Mediterranean countries. One element to that is their diet, which is rich in plant-based foods – such as vegetables, fruit, whole grains – and moderate in lean protein such as fish and healthy oils. Many of the chronic diseases and ailments suffered by men and women stand a better chance of being better prevented if we follow a sensible diet abundant in whole grains, fruit, vegetables, lean protein and healthy oils. Unfortunately, many people compromise on the good sense of eating fresh produce. Instead, they fill their tummies with processed foods, fast and convenient foods that are commonly filled with saturated fat, salt and preservatives. Many of these processed foods also lose their natural vitamins and minerals from the processing. A diet rich in plant-based foods such as fruit, vegetables and whole grains can help prevent several diseases and ailments. When you’re postmenopausal, your oestrogen levels drop, which can bring about feelings of fatigue, aging, moodiness, and put you at a higher risk of heart disease. To remedy the problem, you have the option of hormone replacement therapy, although this therapy does also bring about its own side effects. 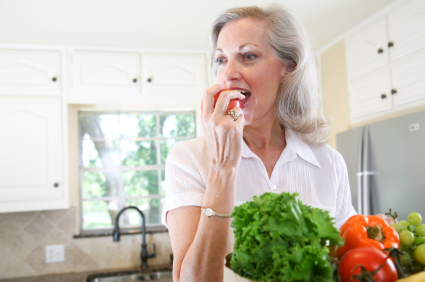 An American study done by the US Department of Agriculture found that foods rich in the mineral boron can help by boosting oestrogen levels in postmenopausal women. This gives a more natural way of boosting oestrogen as an option. Fruits, nuts, soya beans and legumes are good sources of boron. Aim to eat two to three servings of boron-rich fruit and about 20g of nuts per day to get the sufficient boron in your daily diet. All other fruit do contribute some boron to your daily diet as well. Detoxing can be very misleading, in that there is no scientific basis to cleansing out your body to “get rid” of toxins. The human body does not need to be cleansed because toxins don’t actually exist. But the body does have what is known as waste products from the chemical process of metabolism and digestion. Those waste products are eliminated from the human body through your urine and faeces. Hence, it is important that you maintain regularity in your daily bathroom rituals as much as possible to ensure that your body gets rid of waste material, and that it does not accumulate excessively. The colon is particularly at risk for developing colon cancer when waste products sit in there for too long before transiting out. Researchers see a tremendous decrease in the rate of colon cancer with people who eat a diet that is high in fibre. Fibre helps to bulk up stools and hastens bowel elimination to prevent constipation. Colorectal cancer is one of the main fatal cancers in Malaysia and one that can be better prevented if we start the practice of eating high fibre foods early in life. High fibre food sources are fruit, vegetables, whole grains, beans, nuts and seeds and legumes. 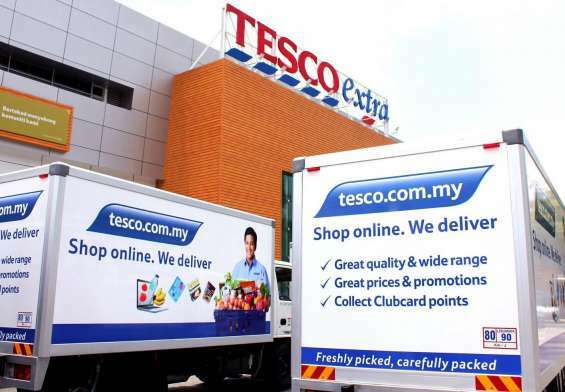 Oddly enough, it was recently reported by the Ministry of Health that an estimated 92% of Malaysians do not eat sufficient fruit and vegetables. This can clearly allow us to estimate that their fibre intake in probably low as well. It is recommended that you aim to eat a minimum of three servings of vegetables and two servings of fruit per day. Make sure that when you fix a plate of food at a meal, you fill up half that plate with vegetables and have a serving of fruit on the side. Also, be sure to drink at least eight cups of water daily to help fibre do its work more efficiently. Fruit that are high in fibre are particularly recommended for bulking up stools and quickening the process of elimination from the colon – a mechanism that helps lessen the exposure of waste product in the intestines. For detoxing, it is advisable to eat the fruit to get the full fibre content rather than fruit juices, which have almost all the fibre content removed. However, drink fruit juices to replenish fluids as that is needed for the bulked up stools. If there’s ever a time for you to start eating healthier, it is now! The good nutrition a pregnant mum eats will end up becoming the nutrients for the baby growing in her womb. There is evidence now to suggest that the maternal nutrition status plays a far-reaching role in the future health of her child, even many years after birth. Preliminary research seems to show evidence that the mother’s prenatal nutrition can determine if the child becomes obese later and is at risk of contacting various other chronic diseases. So, knowing what you know, there’s no harm in eating healthy right from the time you and your husband already are ready to have a baby. And the good nutrition should also be practised by the daddy – as both parents contribute to the baby’s DNA. In pregnancy, mum will have to gradually increase their calorie and protein intake as the months progress. On top of that, there are several key vitamins and minerals that a mother needs to consume more of. Calcium, iron, folic acid, Vitamin C are the vitamins and minerals to have more of during pregnancy. Doctors will prescribe prenatal multivitamin pills to help supplement these nutrients. But it is equally important to get them from your foods you eat as well. Supplement pills cannot undo a bad diet. These key nutrients are found abundantly in milk, cheese, fruit, vegetables, red meat, liver, eggs, whole grains and beans. Getting sufficient folic acid is important as a deficiency in this vitamin causes a neural tube defect, known as spina bifida. This can be prevented if the expectant mother boosts her folic acid intake before and throughout pregnancy. In pregnancy, mums may also experience niggling problems such as constipation (especially as the tummy gets bigger) and swollen feet due to oedema (fluid retention). Fruit, vegetables, whole grains and beans that are high in fibre can greatly help with constipation. To combat water retention, foods high in potassium such as in dairy, fruit and vegetables can help with that. 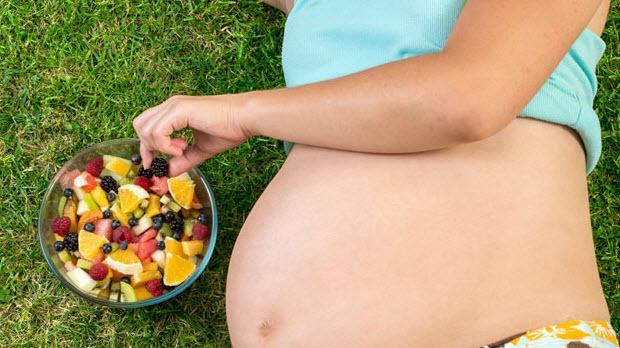 Pregnant mums should include a variety of fruit in their diet. Note that in Asian culture steeped in taboo and tradition, consumption of pineapple is not encouraged is many feel it can cause you to bleed and have a high risk of premature pregnancy termination. There’s no evidence about pineapple causing this in conventional nutrition science. However, my take on this is if you feel you want to stay away from pineapple during your pregnancy to play it safe, that is fine with me if it’ll give you peace of mind. After all, it’s only one fruit and not an entire food group that you are cutting out. However, be sure to eat other fruit to get the important nutrients they provide. 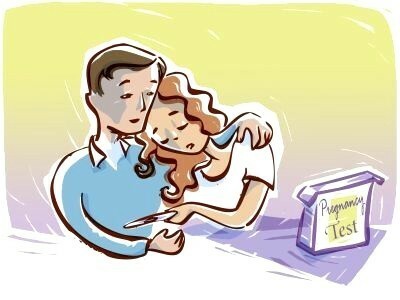 Modern times are seeing a surge in infertility, not just for the women but for men as well. There are several factors that put you at a higher rate of being infertile – namely obesity, lack of proper nutrition where you can end up deficient in important vitamins such as Vitamin D and folic acid, stress, and a poor overall lifestyle. A lack of zinc has been connected to low sperm count in men and general low fertility in women. Zinc is found in seafood, fish, sunflower and pumpkin seeds. Vitamin B6 – found in whole grains, avocado, dairy products, broccoli, mushrooms, nuts, eggs and meats – plays a role in the health of the hormone progesterone, which is needed to boost fertility. Low iron levels effect the formation and function of red blood cells and is a factor in infertility as well. Iron is found abundantly in red meat and offal. Vitamin C in fruit and vegetables help with iron absorption from foods. It’s recommended to have a fruit juice together with your meal to help with iron absorption from the meal. When we think about people with diabetes, we instantly think that these people have trouble with their sugar intake. But diabetes is a lot more complex than that, being classified into two types. Type 1 diabetes occurs when the person lacks insulin, the hormone that allows glucose in the bloodstream to be metabolised. This type of diabetes is also known as insulin-dependent diabetes, as the person with this type of diabetes has to self-inject dosages of insulin to coincide with food intake. People with Type 2 diabetes do not lack insulin, but the receptor of the cells cannot get access to metabolise the sugar that is needed. This makes them insulin-resistant, hence leading to too much sugar circulating in the blood stream. Each condition definitely needs the expertise of an endocrinologist who will advise you on medication and regiment necessary to manage the disease. Seeing a dietitian can also help you to understand your eating regiment better to make it more practical to your lifestyle. Uncontrolled diabetes can lead to severe complications such as coronary heart disease, amputations, vision problems and kidney problems. 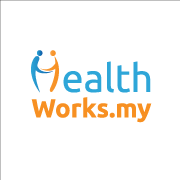 In Malaysia, diabetes is one of the leading chronic diseases and it is a major concern of the health ministry. Foods that have a low glycemic index levels are recommended for diabetics as the breakdown to glucose in slower, hence not causing a drastic raise in blood sugar. The glycemic index scale runs from 1 to 100, with low glycemic index (GI) being a reading of less than 55. Some of the fruits that are of low GI are apples, pitted prunes, strawberry, pear and plums. For diabetics, it is better to eat the fruits whole as opposed to juicing (where the fibre is discarded) to get the full fibre content. The fibre also helps to slow down the rise of sugar after the fruit is eaten. 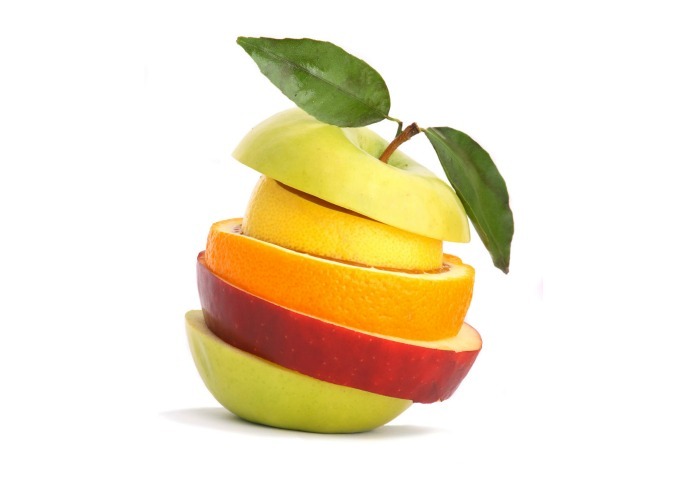 A sensible portion for a diabetic is one cup of fruits or a medium-sized fruit you can hold in the palm of your hands. hey most certainly can, but the catch is in the portion. Follow the one cup rule, where you see how many seeds of durian you can fit into one cup. That’s how much a diabetic can eat – not the whole entire sack of durians. If you are diabetic, it is important that you do take your medication and watch your overall diet to maintain good blood sugar control at all times. Contributed by Indra Balaratnam, a consultant dietitian with 18 years of experience in the field of nutrition and dietetics. She’s the current Immediate Past President of the Malaysian Dietitians’ Association for the term 2013/2015. She also sits on the Allied Health Professions’ Act for Dietitians Working Group.